Acoustica is pleased to announce the release of Mixcraft 7 and Mixcraft Pro Studio 7, a major upgrade to their award-winning Mixcraft recording software. This updated version of Acoustica's flagship recording software is packed with new features, including 32-bit and 64-bit versions, a stunning new interface, live loop and sample triggering, audio warping and quantizing, enhanced control surface support, plug-in management, hundreds of new loops and samples, powerful new virtual instruments and effects, and dozens of other improvements. The flexible new Performance Panel is ideal for composing and performing music both live and in the studio, allowing real-time triggering and automatic synchronization of audio loops, MIDI clips, and samples. The Performance Panel can be manipulated using Novation's Launchpad controller, a MIDI controller, mouse, or computer keyboard. 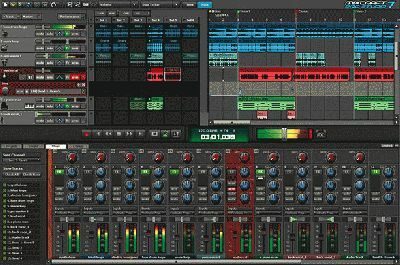 Mixcraft 7 features support for Mackie-compatible control surfaces, as well as Frontier Design Group's Tranzport control surface, and can be easily configured to work with any MIDI controller. Mixcraft 7 can also be controlled from across the studio using the free Mixcraft Remote app for iOS and Android devices. 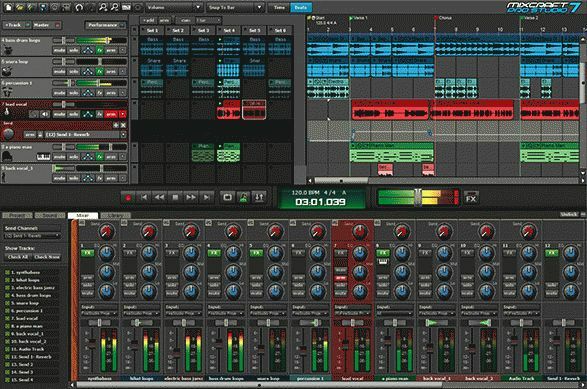 Mixcraft 7 also includes Copula, the industry's most advanced time-stretching and pitch-shifting technology.